Tata Motors, India’s largest vehicle maker is planning to unveil some interesting cars at the 2012 Delhi Auto Expo. The most interesting car among them would be the Tata Pixel which was first showcased at the Geneva Auto Show months ago. The company is future-ready as it will showcase the Manza electric hybrid at the Auto Expo. We can also expect the Tata Nano diesel, Manza compact sedan and Safari facelift version to be showcased at the Auto Expo. These cars will likely be production ready and may be launched by mid-2012. Tata Pixel was first launched at the Geneva Auto Show in March 2011. The breathtakingly beautiful lines of the Tata Pixel created lot of buzz among the audience and we expect more if not similar excitement among Indian audience when the car is unveiled at the Delhi Auto Expo. The Pixel although based on the Nano is more stylish than the Nano Europa concept car showcased by Tata at the Geneva Auto Show. The Pixel has 4 seats and gull-wing type two doors. The Pixel is powered by a rear-mounted 1.2-litre diesel engine that could return a claimed 29.4 km/litre (3.4 litres per 100 km) as per European driving cycle; the Tata Pixel emits just 89 grams of CO2. The Pixel is primarily aimed at the European market where small cars are attracting buyers. The Pixel has a feature called the “Zero Turn toroidal mechanism” that allows the rear wheel to move forward and the inner rear wheel to rotate backward. The Pixel’s turning radius is thus reduced to a surprisingly low 2.6 metres. 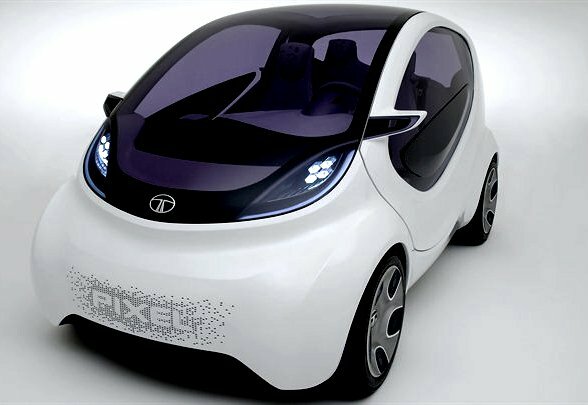 Tata may launch a production car based on the Pixel. We expect this car to be positioned between the Nano and the Indica in a price range of around Rs. 3 lakh. The new Safari will get a cosmetic makeover and will sport a redesigned front grille, Range Rover-inspired tailgate and subtle changes on the side profile. The interiors of the new Safari are expected to come with upmarket features, improved quality of plastics and good fit & finish. 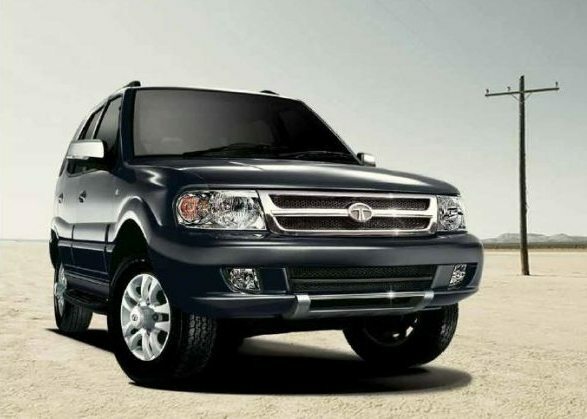 The new Safari will most likely be the same 2.2 litre Dicor that powers the present Safari. The engine will either feature a standard or optional 4×4 all-wheel-drive though the company may retain the present Borg-Warner part-time system as well. We also expect the ride quality and handling of the new Safari to improve for the new Safari is expected to adopt the X2 platform on which the Tata Aria is built upon. It would be a tough road ahead for the Safari facelift as the XUV500 has already created a stir in the segment. We expect the Safari to come with as many features as possible so as to grab the attention of buyers who would otherwise go for XUV500 or Scorpio. The new Safari facelift may be priced around Rs.11 lakh. 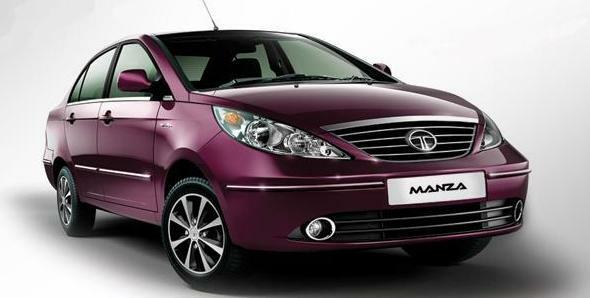 Tata would like to repeat the success story of Indigo CS with the upcoming Manza CS. The Manza CS (Compact Sedan) will look identical to the present Manza up to the C-pillar after which the lengthy boot will be shortened to measure below four meters. The Manza CS can be expected to look better than the outgoing model, thanks to the shortened boot section. Expect the Manza CS to be powered by only the 1.2 litres Safire 65 petrol motor and the 1.3-litre Multijet diesel motor that puts out 89 bhp. Tata Motors may also mull over introducing the 71 bhp, 1.4 litre CR4 common rail diesel motor in the Manza CS base diesel variant similar to the Tata Vista TDI. The price of Manza CS is expected to be in the range of Rs. 4.5 – Rs. 6 lakh or roughly Rs. 40,000 less than the corresponding variants of Manza. In line with the Tata Indica electric and Vista electric concept, Tata Motors will showcase the Manza electric hybrid at the 2012 Delhi Auto Expo. There are no details about what technology is used in the Manza electric hybrid, though we expect Tata Motors to plonk in the electric motor that powers the Vista Electric. The Vista Electric is powered by a polymer lithium-ion battery that provides a range of 170 kms and a top speed of 114 kmph. It has to be noted that the Vista Electric was developed by Tata Motors’ UK subsidiary, Tata Motors European Technical Centre (TMETC). Tata Motors may unveil the much anticipated diesel version of the Nano at the 2012 Delhi Auto Expo. 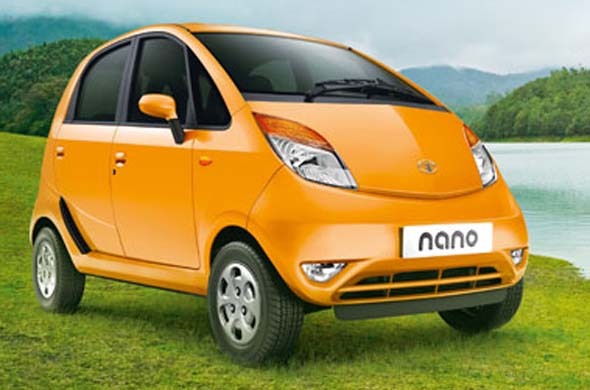 Expect the diesel Nano to look like the recently launched 2012 Nano. The Nano diesel may be powered by 800 cc, 2-cylinder common rail diesel motor readied by Bosch which also made the 624 cc petrol engine for the outgoing model. There are speculations that the power of the Nano diesel may be around 35 bhp and the torque around 110 Nm and may have an incredible fuel economy of 30 – 40 kmpl. On the downside, the engine’s noise could be higher than in the petrol motor and hence, unless Tata intelligently arrests the engine noise from creeping into the cabin, potential buyers may be turned off. Expect the Nano diesel to be priced Rs. 60,000 above that of the Nano petrol which will make the Nano diesel base variant to cost around Rs. 2 lakh. With sky rocketing petrol prices, small diesel cars are gaining lot of attention among buyers and Nano diesel could be the cheapest diesel car on offer. « Question of the day: Fiat Grande Punto diesel or Hyundai i20 diesel?